Without any further ado, here are some reviews of books I have been reading over the past few weeks. 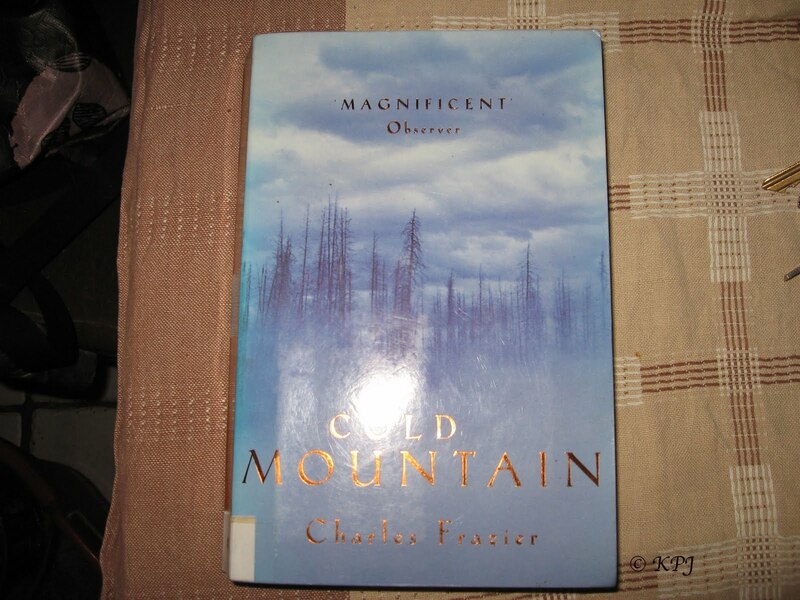 First up Cold Mountain, by Charles Frazier, (1997), a historical novel set towards the end of the American Civil War. There isn’t really a plot. Confederate soldier wounded in war leaves hospital and walks home to find the woman he loved when the war started. Meanwhile she is struggling to survive on the family farm after the death of her father. I’d picked this book up and put it down a few times at the library, but eventually I decided to give it a go. The chapters alternate, for the most part, telling the story of the two people. One chapter is him walking home and the adventures that befall him on the way, the other is the woman gradually learning to live off the land with the help of a new friend. If that sounds dull (and probably the blurb on the back of the book did too, hence me not taking it from the library originally) – it wasn’t. It was well-written, thoughtful, imaginative, and so visual. I read all the way through the book with vivid pictures in my head of both characters and their situations. There was however, a sense of impending gloom over the book. Would the couple find each other again? Would he even get home to her? At one point he was shot and buried alive. I recommend this book whole-heartedly, and I won’t reveal the ending. I found it slightly twee, but apart from that, it was excellent. 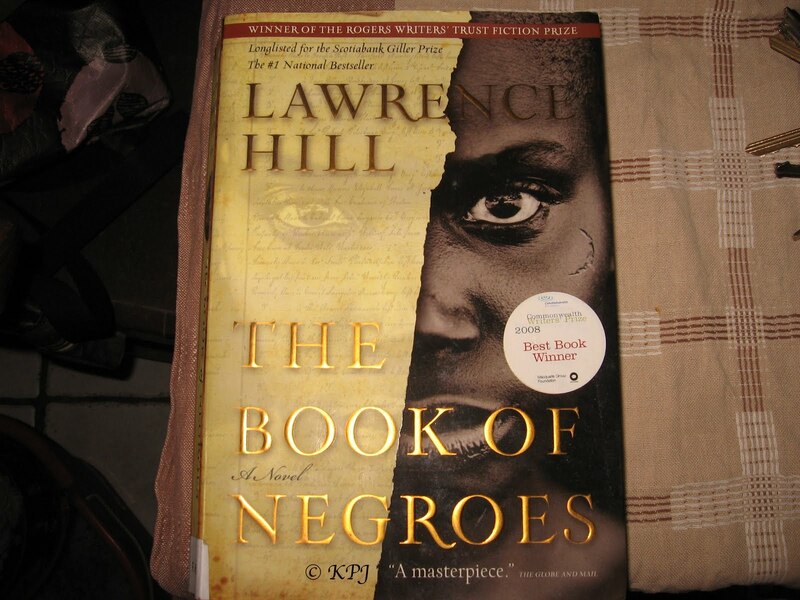 Next one – The Book of Negroes by Lawrence Hill (2007). I thought this was a superb read (I don’t often say that). In a nutshell, it is a story about slavery. An African child is stolen and shipped to America where she changes owners, moves to Nova Scotia, then back to Africa and ends her life in London. But it is the graphic descriptions of what tortuous conditions the slaves suffered that make this book. In a way it was embarrassing to read – to think that people could abuse each other so much. And yet it continues today in different forms. I think the scene that impacted on me most was when the slaves were walking across Africa in the coffle – naked – and this girl started her first period. Menstrual blood dripping down her legs for everyone to see. Can you imagine that? I can and it makes me feel sick even now. Then there was the woman who gave birth while on the forced march. Naturally, once this poor kid was esconced in slavery in America, she was raped by some white plantation owner. The child to her black lover was stolen from her. The list goes on. Only let down? A bit like Cold Mountain. An unrealistic and unlikely ending. But as an eye-opener into slavery it was brilliant. And again, extremely well-written. Another strong recommend. A couple of rather more lightweight books now. Letters from a Fainthearted Feminist – Jill Tweedie (1982). Gosh! Was it really so long ago. I remember hearing about this years ago – nearly 30 in fact – but never got around to reading the columns in the Guardian or the published book until last week. Also a bit horrified to discover she is no longer alive, dying just turned 60 from motor neurone disease. So what to say? Well, it was an easy read, and an enjoyable one. It’s a short book, unlike the other two, so can be finished in a quick session. Some of it was witty and funny, some not. It’s hard to write witty funny prose at the best of times, let alone when dealing with the complexities of feminism. Towards the end it seemed to fade off. Or maybe I did. Either way, it’s worth a read. For lefty feminists it’s a gentle poke at some of the things we hold dear. No idea how non-lefty non-feminists will find it. But it’s short enough for you to try it. And the last one? Gulp. Never let it be said my reading taste is not catholic. So to speak. The Clematis Tree by Ann Widdecombe (2000). Well the short review is that I don’t recommend it. That doesn’t mean it is unreadable, but I would certainly recommend the above three first. And a whole load of others. The Guardian has a summary of some reviews that will save me repeating the same stuff ad infinitum. The plot (?) is child becomes brain-damaged and parents have relationship problems. Religious figures abound of course. Not just Catholic nuns, but also C of E clergy and Jewish family (the rabbi doesn’t seem to get a mention). Euthanasia, abortion, guilt – oh! so! much! guilt! Read it if you want. I’ve wasted enough time writing about it. What is it with politicians that makes them think becoming an elected member of parliament means they also become a novelist at the same time? Huh? Just remembered, terrible style. That’s what really griped. Not sure whether it was precious, precocious, or pretentious. But it jarred. I wonder if she has written about animal rights? Opposing fox-hunting seems to have been one of her few attributes. I digress. But should you read this Ann, try another topic next time. Or less topics in one novel in fact.